Thousands of people have been traveling abroad every year to receive affordable cosmetic and plastic surgery overseas. Outstanding quality and affordability are the two most important reasons for having cosmetic and plastic surgery abroad. Traveling for "Cosmetic Surgery Vacation" also provides an opportunity for those with limited vacation time to have both medical services and a vacation with their family or friend. Makeover Travel Group provides you a large choice of the best hospitals and Clinics in Bolivia for your cosmetic surgery Vacation. Our great prices and complete “Circle of Care” mean that you can have the surgery you want now, as well as enjoy a superb vacations in a Tropical Paradise – Santa Cruz de la Sierra- Bolivia. 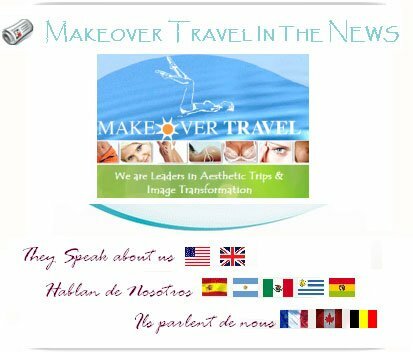 With Makeover Travel, you can expect the best surgeons, a recovery in luxury 5 stars Hotel, fully equipped hospital and the 24 hours care and support of friendly English/Spanish/French-speaking staff. You really will feel at home, but enjoy all the benefits of cosmetic surgery vacations!